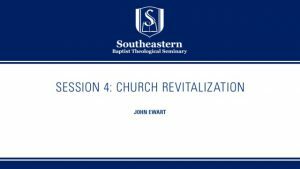 John Ewart, Associate Vice President for Global Theological Initiatives and Ministry Centers, gives a talk on Church Revitalization at NCAMS 2018. 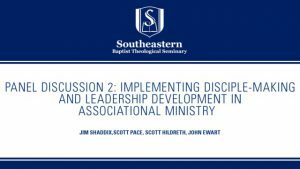 Scott Pace, Johnny Hunt Chair of Biblical Preaching, speaks on Leadership Development at NCAMS 2018. 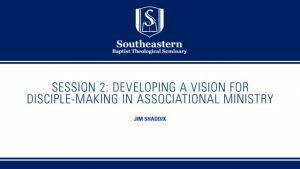 Jim Shaddix, W.A. 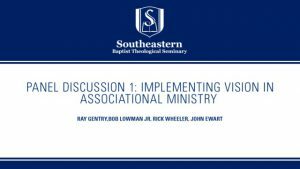 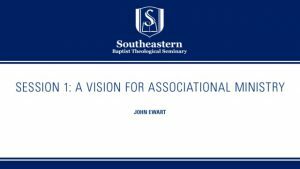 Criswell Chair of Expository Preaching, speaks on Developing a Vision for Disciple-making in Associational Ministry at NCAMS 2018. 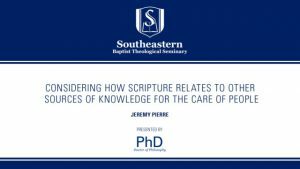 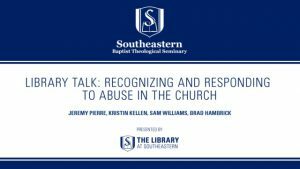 Jeremy Pierre, Chair of the Department of Biblical Counseling and Family Ministry at Southern Baptist Theological Seminary, gives a PHD Colloquium on the topic of Considering How Scripture Relates to Other Sources of Knowledge for the Care of People. 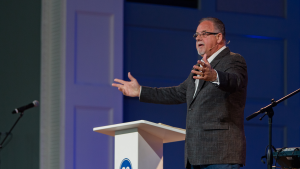 Tim Patterson, Executive Director of the Baptist Convention of Michigan, preaches on how we need to be faithful to the eternal matters that we have in our hands now.